Full wireless connection has limited performance, and may require decreasing the Image size (resolution) and increasing compression. USB deliver the best speeds, but you may need to install up to date drivers from your smartphone manufacturer (eg. Samsung includes the USB Tethering driver with its Kies Desktop software). It is also recommended to update the Windows RNDIS driver to version 6 (details). 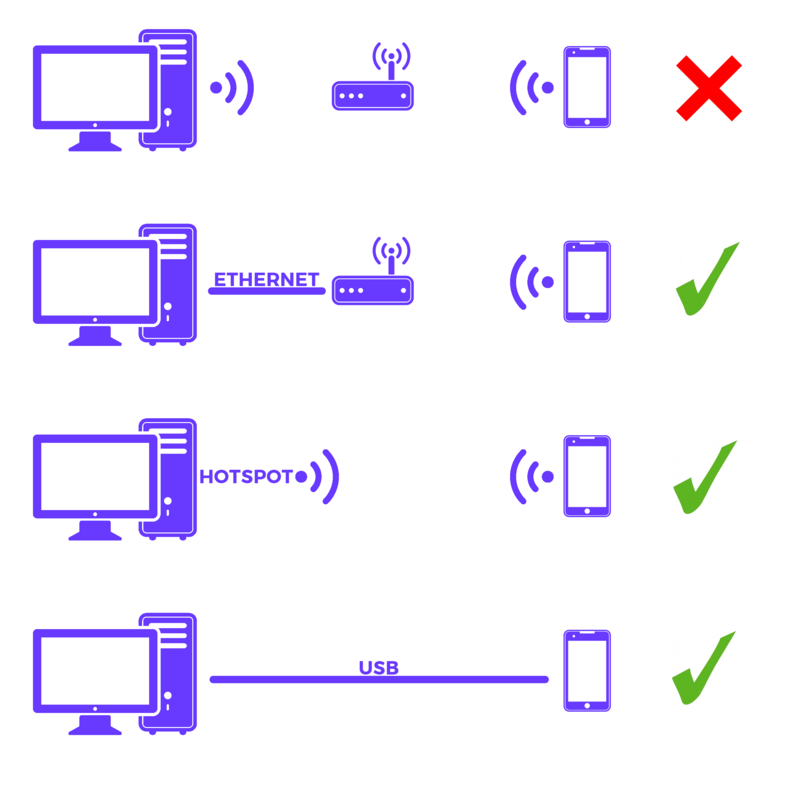 Note that USB connection is not supported for iOS devices. Trinus should detect the device through the network automatically. If it doesn't, check that there are no firewalls blocking the connection or manually set the IP address and port set on the Trinus Android client. With SteamVR installed (but not running), start Trinus and select SteamVR mode. Trinus will install the SteamVR driver (check for errors in the notifications area). Then you can start SteamVR and the Room setup. Note that SteamVR games that require VR controllers have limited compatibility (through NoloVR or PSmove).